This 12 ton roller was new to the Parish of St Lawrence in 1912 where it remained in service until 1948. Clement Rondel and Philip Le Quesne worked the roller until around 1917 when they joined the Jersey Volunteers to fight in the First World War. Both men were sadly killed in action towards the end of the War. The roller was sold to a St Brelade farmer for £25 in 1948 and continued in use providing steam for horticulture until the 1960’s. 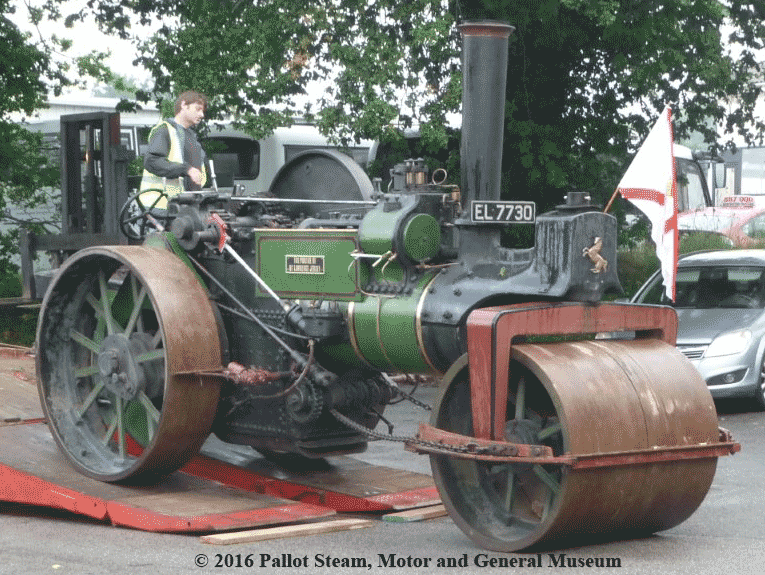 In 1967 the roller was sold to a new owner in Berkshire then, two years later, sold to John Young of Romsey who took her to Steam Shows in the south of England and the I.O.W. where it was noticed by the Pallot family who joked that it belonged back in Jersey. The opportunity to purchase the roller arose when John decided to sell her upon his retirement and it was subsequently shipped back “home” on 1st July 2015 after an absence of 48 years. 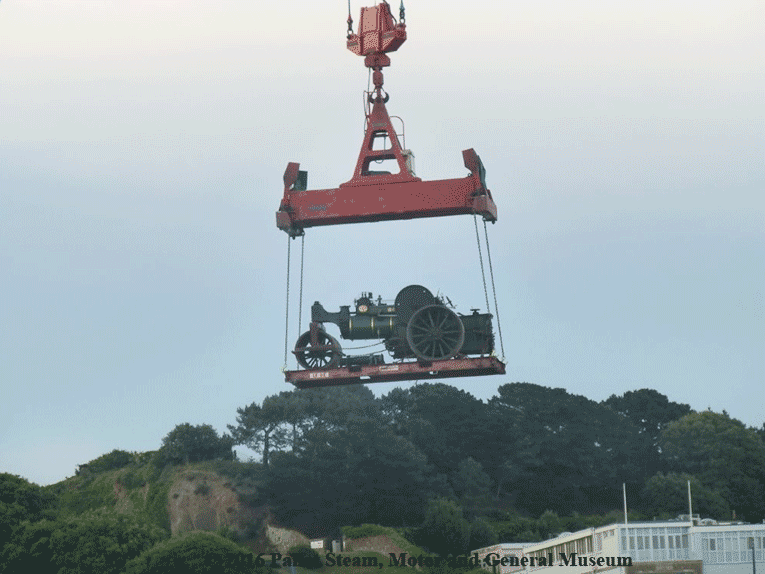 The roller was kindly transported to the Museum on A A Langlois low-loader and we are grateful to Mark Bingle and Bob Allo for their voluntary assistance. The roller is now on display alongside two other steam rollers from the parishes of St Helier and St Saviour and two smaller diesel rollers from the Parish of St Saviour and the Island of Sark. As a matter of interest the late Fred Dibnah's famous 10 Ton Road Roller Aveling & Porter No: 7838 TE Type was built in the same year as the museum's Aveling & Porter.